Lighting control companies profiled in this market include General Electric, Cree Inc., Osram, Philips, and Lutron. In this market, LED drivers, sensors, switches & dimmers, relay units, and gateways are used for lighting control in residential, commercial, industrial, and various outdoor lighting applications. LED drivers will remain the largest product type and are expected to witness the highest growth over the forecast period due to increasing penetration of LED lighting, increasing utility and maintenance cost, and increasing demand for connected lighting. Within the lighting control market, the indoor lighting application will remain the largest market; it is also expected to witness highest growth rate due to the increasing penetration of smart lighting system and increasing customer awareness for energy efficiency. Asia Pacific is expected to remain the largest region and will experience the highest growth over the forecast period due to the increasing lighting demand in China and India. Market size estimates: Global lighting control market size estimation in terms of value ($M) shipment. Segmentation analysis: Global lighting control market size by various applications such as application, installation, connection, and product in terms of value and volume shipment. Regional analysis: Global lighting control market breakdown by North America, Europe, Asia Pacific, and the Rest of the World. 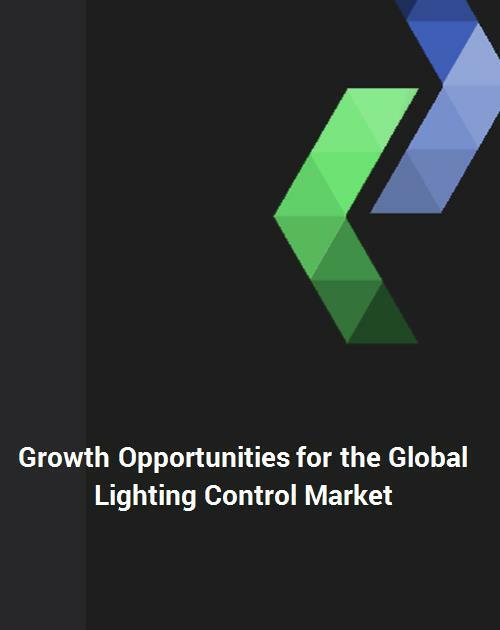 Growth opportunities: Analysis on growth opportunities in different applications and regions of lighting control in the global lighting control market. Strategic analysis: This includes M&A, new product development, and competitive landscape of lighting control in the global lighting control market. Q.1 What are some of the most promising, high-growth opportunities for the global lighting control market by application (indoor and outdoor), installation type (new installation and retrofit installation), connection type (wired and wireless), product (LED driver, sensors, switches & dimmers, relay units and gateways) and region (North America, Europe, Asia Pacific, and the Rest of the World)? Q.4 What are the key factors affecting market dynamics? What are the drivers and challenges of the lighting control market? Q.5 What are the business risks and threats to the lighting control market? Q.6 What are the emerging trends in this lighting control market and reasons behind them? Q.7 What are some changing demands of customers in the lighting control market? Q.8 What are the new developments in the lighting control market? Which companies are leading these developments? Q.9 Who are the major players in this lighting control market? What strategic initiatives are being implemented by key players for business growth? Q.10 What are some of the competitive products and processes in this lighting control area and how big of a threat do they pose for loss of market share via product substitution? Q.11 What M&A activity has occurred by the major lighting control suppliers in the last 5 years in lighting control market? 7.4: Lutron Electronics Co., Inc.
7.6: Leviton Manufacturing Co., Inc.